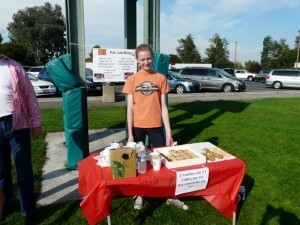 In 2011, before moving on from Saint Simon Middle School, Iris, Genna, Lauren and Kathy decided to start a new fundraising project to support Aishworya. It would also maintain their friendship after moving to different high schools. For their first event, they sold drinks and snacks at Saturday-morning soccer games. They worked with Starbucks who donated hot drinks, and Lucky who donated water bottles and cookies. 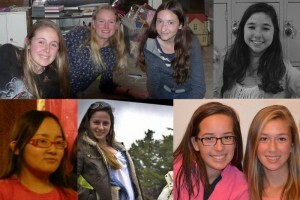 The group was soon joined by Ashley, Capucine, Shiri, Phoebe, Ava and Saba. Other events have included hosting themed kids’ parties, selling beautifully decorated cookies at private events, and instructional baking birthday parties based on Iris’ culinary skills acquired during summers spent at Le Cordon Bleu cooking school in Paris. 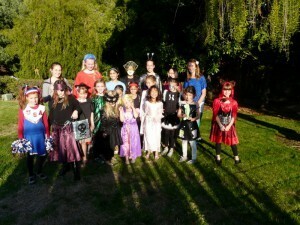 Most recently, they’ve helped to organise a semi-annual event for Around the World Boutique (AWB), which donates part of its profit to a chosen charity. AWB displays the arts, crafts, and cooked products of 20 global vendors inspired by their homeland origin. In 2014, Aishworya was the chosen charity. Through their fundraising, Iris and her friends have contributed greatly to the running of Aishworya, and their goal is to continue their amazing work on into their college years. We’re very, very grateful.